Rachel Naomi Remen, M.D. is Clinical Professor of Family and Community Medicine at UCSF School of Medicine and the Founder and Director of the Institute for the Study of Health and Illness at Commonweal. 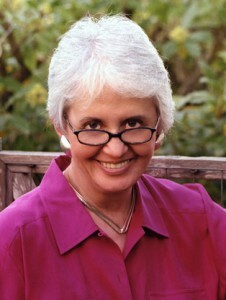 She is one of the pioneers of Relationship Centered Care and Integrative Medicine. US News and World Report Best Graduate Schools has called The Healer’s Art, her groundbreaking curriculum for medical students “A profoundly innovative curriculum on reintegrating the heart and soul into contemporary medicine and restoring medicine to its integrity as a calling and a work of healing.” The Healer’s Art is now taught yearly in more than half of American medical schools and in medical schools in seven countries abroad. Dr. Remen has been awarded three honorary degrees in recognition of her contribution to medical education and has been the invited speaker at more than two dozen medical school graduations. Dr. Remen was one of the first to recognize and document the psychological and spiritual impact of cancer on people and their families. She is a co-founder and medical director of the Commonweal Cancer Help Program, one of the first support groups for cancer patients in America, featured in the groundbreaking 1993 Bill Moyer’s PBS series Healing and the Mind. Through her television appearances and lectures, she has reminded many thousands of people of their power to grow beyond their current challenges and heal themselves. The Institute for the Study of Health and Illness (ISHI), founded and directed by Dr. Remen, has award-winning post graduate education programs for health professionals that have enabled many thousands of doctors, nurses, psychologists and social workers nationwide to remember their common calling and reintegrate their deepest service values into their daily work. Dr. Remen’s New York Times bestselling books, Kitchen Table Wisdom and My Grandfather’s Blessings have sold more than a million copies and been translated into 23 languages. Dr. Remen has a 60-year personal history of Crohn’s disease and her teaching and writing is a unique synthesis of the wisdom and courage of physician and patient. Rachel Naomi Remen, M.D. is Clinical Professor of Family and Community Medicine at UCSF School of Medicine and Founder and Director of the Institute for the Study of Health and Illness at Commonweal. She is one of the best-known of the early pioneers of Wholistic and Integrative Medicine. As a medical educator, therapist and teacher, she has enabled many thousands of physicians to practice medicine from the heart and thousands of patients to remember their power to heal. Her groundbreaking curriculum for medical students, The Healer’s Art, is taught in 90 of America’s medical schools and medical schools in 7 countries abroad. A master storyteller and observer of life, her bestselling books, Kitchen Table Wisdom and My Grandfather’s Blessings, have sold more than a million copies and are translated into 23 languages. Dr. Remen has had Crohn’s disease for more than 60 years and her work is a unique blend of the wisdom, strength and viewpoints of both doctor and patient. Rachel Naomi Remen, M.D. is Clinical Professor of Family and Community Medicine at the University of California San Francisco School of Medicine and Founder and Director of the Institute for the Study of Health and Illness at Commonweal. She is one of the pioneers of Integrative Medicine and Relationship Centered Care. As a clinician she was a therapist to EOL people and their families for more than 30 years. Dr. Remen is the Founder and Director of The Healer’s Art curriculum for medical students, which is now taught in more than half of American Medical schools and medical schools in 7 countries abroad. Through her CME/BRN programs, Dr. Remen has enabled thousands of physicians to recover a sense of passion, calling and meaning in their work. She is co-founder and medical director of the Commonweal Cancer Help Retreat Program, one of the first integrative care support groups for cancer patients in America, featured in the groundbreaking 1993 Bill Moyer’s PBS series Healing and the Mind. Dr. Remen’s bestselling books Kitchen Table Wisdom: Stories that Heal and My Grandfather’s Blessings: Stories of Strength, Refuge and Belonging have over a million copies in print and have been published in 23 languages. Dr. Remen has a 60-year personal history of Crohn’s disease, and brings the unique perspective of both physician and patient to her work.